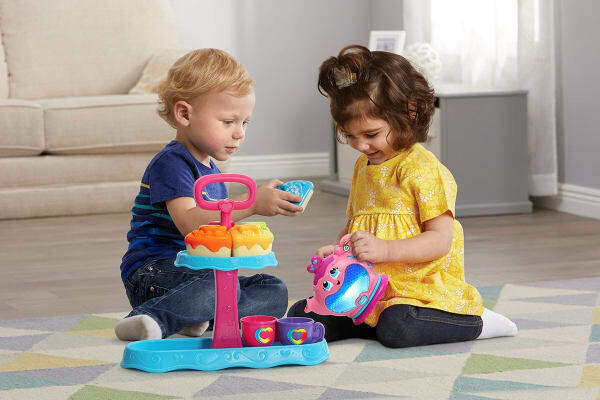 Pretend to brew a fresh pot of tea and share a slice of cake with friends while exploring colours, numbers, shapes and fruit with the LeapFrog Musical Rainbow Tea Party. The LeapFrog Musical Rainbow Tea Party includes everything needed for a pretend tea party for two! 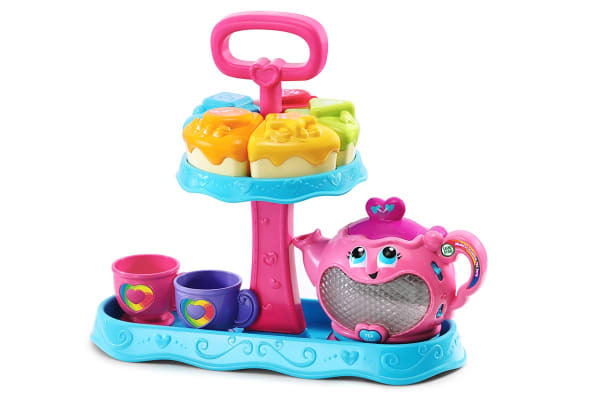 Just fill and empty the tea pot, pretend to have cake and listen to playful music. It is simple and easy to use! Simply press the heart button to brew a new pot of tea and then lift the lid to change the colour and flavour. Tip the teapot to pour and watch as the teapot appears to empty. 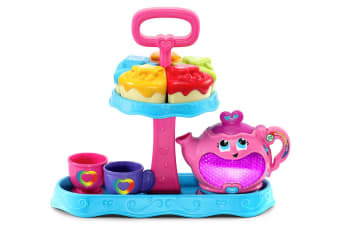 All the play pieces including the teapot, teacups and five slices of cake fit neatly on the cake stand for storage.